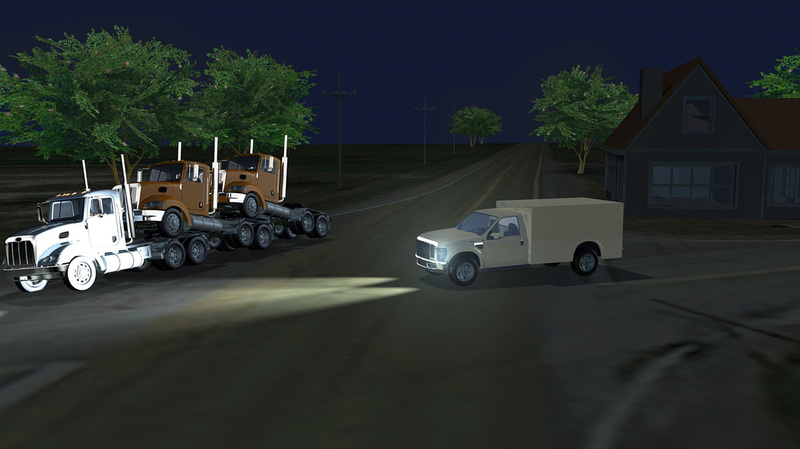 A dark night in the country, a severely limited field of vision of a delivery truck driver pulling out. This catastrophic accident resulted in life threatening injuries to the piggyback truck driver. We were able to create these images and animation over a holiday weekend for the attorneys, who were already in the middle of the trial. Speed was needed, but more importantly, a careful eye in making sure the scene and vehicle details were correct and visible. 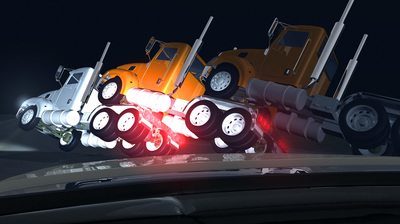 After the accident reconstruction was completed it was found that the box truck's position on the stop bar would not have allowed a full enough field of vision for the box truck driver to operate safely. The jury returned a verdict of $10.99 million.